Butchie came to CPR after his loving owner, who had had him since he was a puppy, passed away. 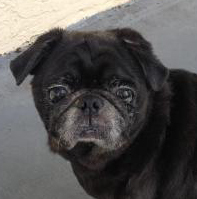 This sweet 13 year old senior was visually & hearing impaired but was playful & cuddly until he crossed the Rainbow Bridge. Rest in Peace, Butchie.